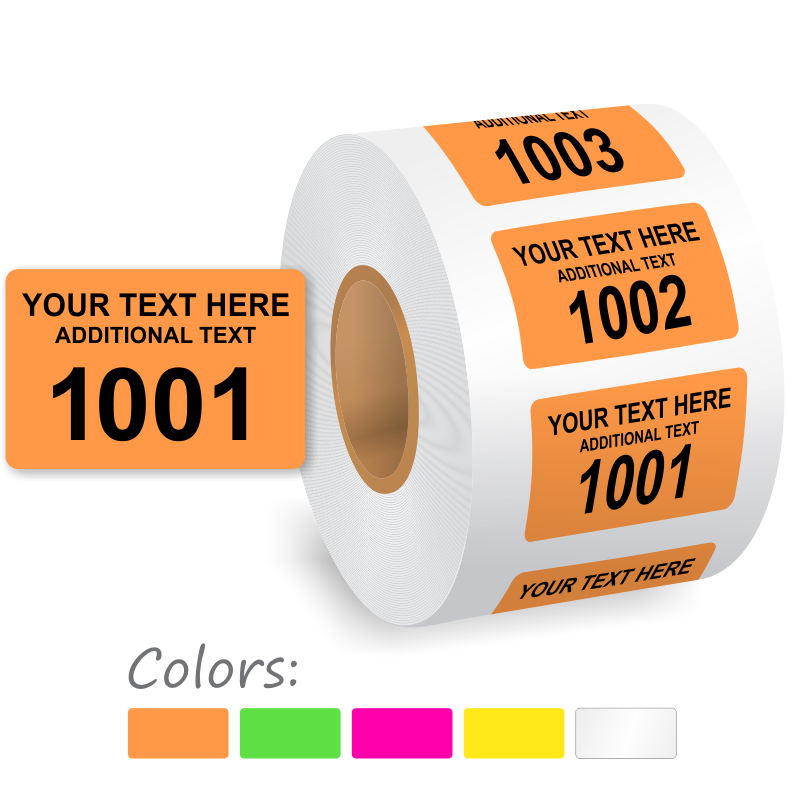 Take advantage of our customization wizard to create unique consecutively numbered labels. 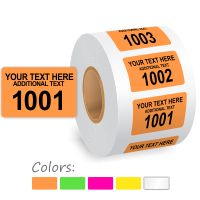 Add up to two lines of text and choose a color for the labels. Thank you...great group to work with...very helpful and QUICK and EFFICIENT!! STRONGLY ENDORSE-long their customer service! Very friendly, thorough, and knowledgeable group to work with. From ORDER to DELIVERY and followup! Great Experience!